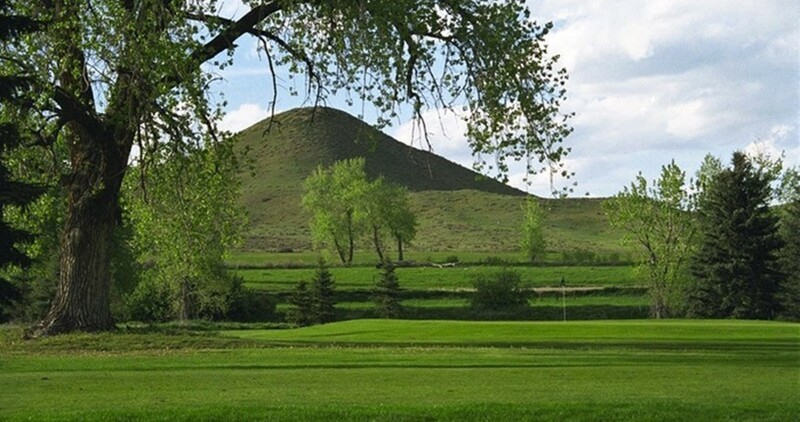 Haystack Mountain Golf Course is a fun and relaxing place for your group golf outing. We can accommodate large groups with advanced reservations. Resting in the shadow of Haystack Mountain, the course was designed to fit in with the surrounding landscape to stay in tune with nature. The greens flow naturally in the rolling terrain with minimal contouring. It is a flat course, known as links-style (based on original Scottish courses), and winds around Left Hand Creek through old cottonwood trees, offering unparalleled views of the Flatirons and the Western Slope. To help preserve the spirit of the game, walking is required. The 2153-yard, par 32 golf course near Denver is a haven for beginners, old timers, couples, juniors, and polished players, taking on average about two hours to play. Beginners are not overwhelmed by length, and the course is long enough for seasoned golfers to use all of their clubs. Fairways are wide with roughs cut short. Five holes have double tees, and three play over water. The 3rd hole, a 320 yard par 4 doglegs left and plays over a pond with a small green that cannot be seen from the tee. The 4th hole is 144 yards long, with no trees or hazards, offering a flat medium-sized green—a great chance for a birdie!